the National Security Agency (NSA), Gen Marshall S Carter, directed that “Skylark achieve emergency opera­tional readiness by 5 November”; this was indeed achieved, but there was never a deployment. Instead Cygnus, as Agency pilots referred to the A-12, would receive its baptism of fire in the skies over South East Asia. Moves to this end had begun on 22 March 1965 when, following a meeting with Brig Gen Jack Ledford (the CIA/USAF liaison officer), Secretary of Defence (Sec Def) Cyrus Vance, granted S3.7 million to provide support facilities at Kadcna AB, Okinawa for a planned deployment of Cygnus aircraft under a project code­named Blackshield. On 3 June, secretary McNamara consulted the under Secretary of the Air Force about the build-up of SA-2s around Hanoi and the possibility of substituting the more vulnerable U-2s with A-12s to conduct recce flights over the North Vietnamese capital. He was informed that once adequate aircraft performance was validated, Blackshield could be cleared to go. they were completely ‘squawk-free’. On 20 November 1965 an A-12 completed a maximum endurance flight of six hours twenty minutes, during which it reached speeds above Mach 3.2 and altitudes approaching 90,000ft. On 2 December, the highly secretive ‘303 Committee’ received the first of many proposals to deploy Oxcart to the Far East. However, the proposal, together with several subse­quent submissions made throughout 1966, was rejected. 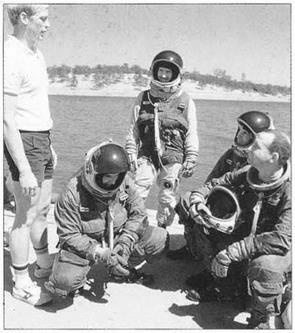 On 5 January 1967, another tragedy hit the programme when A-12 60-6928 crashed some 70 miles short of Groom Dry Lake. 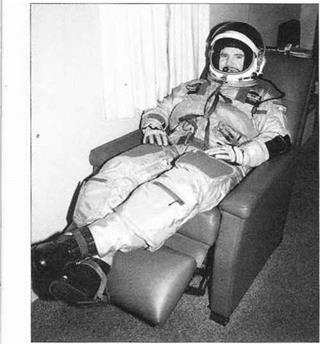 Its pilot Walt Ray ejected but was killed when he was unable to gain seat separation. In early May 1967, the National Security Council was briefed that North Vietnam was about to receive surface- to-surface ballistic missiles. Such a serious escalation of the conflict would certainly need to be substantiated with hard evidence, consequently President Johnson was briefed. 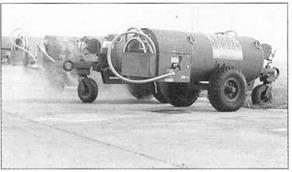 Richard Helms of the CIA proposed that the 303 committee authorise deployment of Oxcart, on the basis of the A-12s having a superior camera to that used by U-2s or pilotless drones and being ‘invulnerable to shoot- downs’. President Johnson approved the plan and in mid-May an airlift was begun to establish Blackshield at Kadena AB, on Okinawa, Japan. 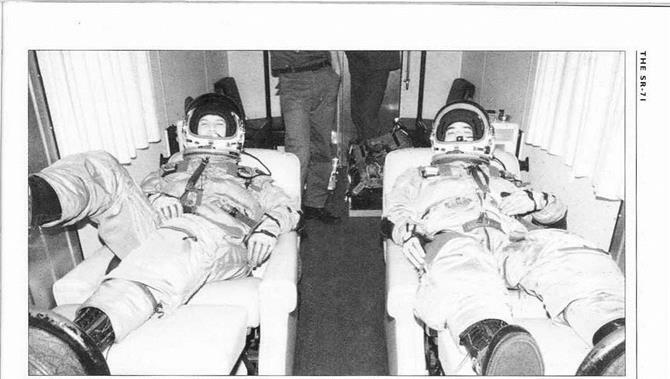 the mission was still on, so the pilots went to bed to ensure they got a full eight hours of crew rest. They awoke on the morning of the 31st to torrential rain – a new phenomenon to desert-dwelling A-12s. However met conditions over ‘the collection area’ were good and at 0800 Kadena received a final ‘go’ from Washington. On cue, Mele engaged both afterburners and made the first instrument-guided take-off of an A-12. A few minutes later he burst through cloud and flew 60­6937 up to 25,000ft, topped-off the tanks from a KC-135, then accelerated and climbed to operational speed and altitude. With all systems up and running, he informed Kadena (‘home-plate’), that the backup sendees of Jack Layton wouldn’t be required. 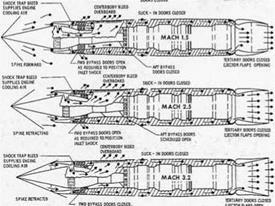 Mele penetrated hostile airspace at Mach 3.2 and 80,000ft over Haiphong, before overflying Hanoi and exiting North Vietnam near Dien Bien Phu. A second air refuelling took place over Thailand, followed by another climb to altitude and a second penetration of North Vietnamese airspace made near the Demilitarised Zone (DMZ), after which he recovered the aircraft, after three instrument approaches in driving rain, back at Kadena. In all the flight had lasted three hours and 40 minutes. Several SA-2s were fired at the aircraft but all detonated above and well behind their target. The ‘photo-take’ was downloaded and sent by a special courier aircraft to the Eastman Kodak plant in Rochester, New York, for processing. ‘937’s high resolution Type IV camera developed by Hycon had successfully photographed ten priority target categories, including 70 of the 190 known SAM sites. By mid-July, A-12 overflights had determined with a high degree of confidence that there were no surface-to-surface missiles in North Vietnam. 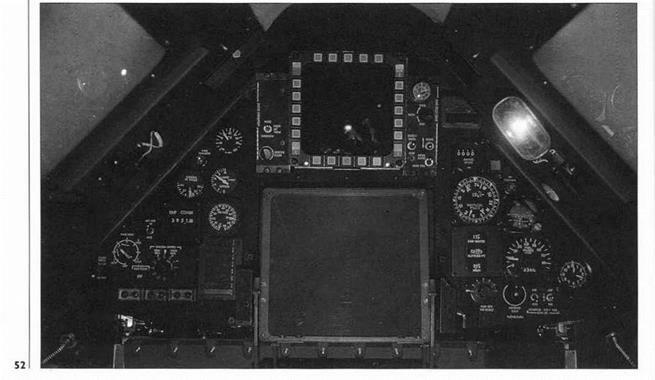 During a sortie Down by Denny Sullivan on 28 October 1967, he had indications on his Radar Homing Warning Receiver (RHWR), of almost continuous radar activity focused on his A-12, whilst both inbound and outbound over North Vietnam, which also included the launch of a single SA-2. Two days later he was again flying high over North Vietnam when two SAM sites tracked him on his first pass. On his second pass, approaching Hanoi from the East, he again noted he was being tracked on radar, Over the next few minutes he counted no less than eight SA-2 detonations in ‘the general area, though none were particularly close’. 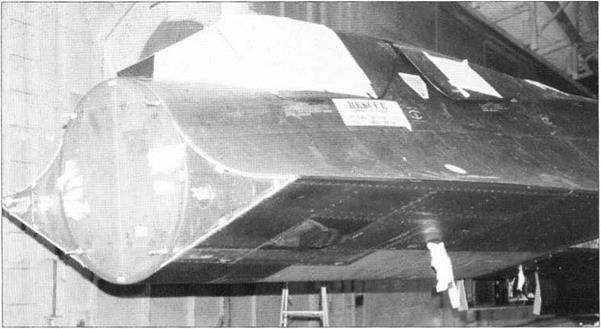 After recovering the aircraft back at Kadena without further incident, a post-flight inspection revealed that a tiny piece of shrapnel had penetrated the lower wing fillet of his aircraft and become lodged against the support structure of the wing tank – this would prove to be the only occasion that a ‘Blackbird’ took ‘a hit’. Back at Area 51 the year ended with the loss of another A-12 when, on 28 December 1967, Mele Vojvodich took aircraft 60-6929 for a functional check flight (FCF) following a period of deep maintenance. 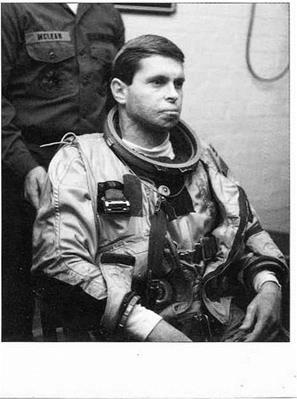 Below Major Brian Shul gets suited up in his S1030 ‘gold suit’. six seconds of flight. Incredibly, he too survived and escaped serious injury. An accident investigation discovered that when the unit was re-installed following maintenance, the pitch Stability Augmentation System (SAS), had been connected to the yaw SAS actuators and vice-versa. Thereafter, the SAS connectors were changed to ensure incorrect wiring was impossible. 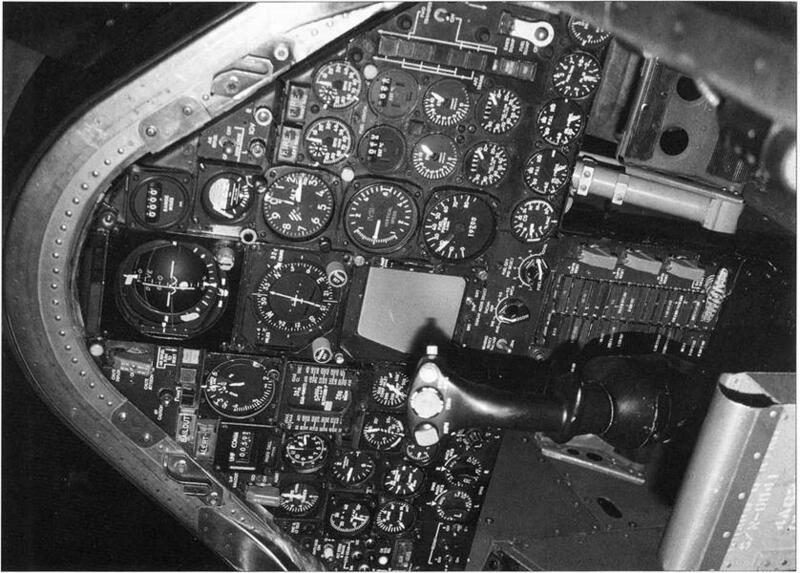 During 1967, a total of 41 A-12 missions were alerted, of which 22 were actually granted approval for flight. Between 1 January and 31 March 1968, 15 missions were alerted, of which only six were flown, four over North Vietnam and two over North Korea. The latter two came about as a result of the USS Pueblo – a US Navy Signal Intelligence (SIGINT) vessel being seized by North Korea during the night of 23 January. The first sortie was attempted by Jack Weeks on 25 January, but a malfunc­tion on the A-12 resulted in an abort shortly after take off. The next day Frank Murray completed the task: “I left Kadena, topped-off, then entered northern airspace over the Sea of Japan via the Korean Straits. My first pass started off near Vladivostok, then with the camera on I flew down the east coast of North Korea where we thought the boat was. As I approached Wonsan I could see the Pueblo through my view sight. The harbour was all iced up except at the very entrance and there she was, sitting off to the right of the main entrance. I continued to the border with South Korea, completed a 180-degree turn and flew back over North Korea. I made four passes photographing the whole of North Korea from the DMZ to the Yalu border. As far as I know, I was undetected throughout the flight, but when I got back to Kadena some folks told me that the Chinese had detected me and told the North Koreans, but they never reacted.” Back at Kadena ‘the take’ was immediately flown to Yakota AB, Japan where the 67th Reconnaissance Technical Squadron had been activated to enable the more timely exploitation of such data by theatre commanders. On 8 May 1968, Jack Layton successfully completed the A-12’s second mission over North Korea; it was to prove the final operational flight of an A-12. A long standing debate concerning whether the A-12 or a programme known as Senior Crown should carry forward the strategic reconnaissance baton, had, after three years, been resolved. Oxcart was vanquished. In early March 1968, SR-71s began arriving at Kadena to take over the Blackshield commitment. Those A-12s back at ‘the Area’ were flown to Palmdale and placed in storage by 7 June. At Kadena, the three aircraft that had performed all the Blackshield missions were also readied for a return transpacific ferry flight. On 2 June 1968 however, tragedy hit the Oxcart program a final blow’, when Jack Weeks was killed during an FCF in 60-6932. The aircraft and its pilot were lost without trace in the Pacific Ocean. The two remaining A-12s on Okinawa, 60-6930 and 60-6937, were ferried back to Area 51, before being flown to Palmdale, the last (light being made by Frank Murray on 21 June 1968 in aircraft ‘937.